If your car is acting strange, making weird noises or leaking fluids, you may be experiencing transmission problems. 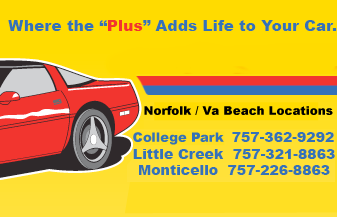 When you bring your vehicle in to a Norfolk/Virginia Beach Accurate Tune Plus location, our ASE certified technicians will carefully diagnose what may be causing your transmission problems and fix and repair your vehicle with an affordable price tag. We offer transmission repair services and full transmission replacement if that’s what is needed. At Accurate Tune Plus, the “Plus” adds life to your vehicle!